Digital currencies are a new form of economic organization that exist entirely outside of the reach of the State. This has far-reaching ramification not just for money and capitalism, but for the ideological super-structure of the world today. Forcing concepts like exchange and economics into a theorem where tangibility is no longer needed causes for an unraveling of the state power structure itself. Institutionalized violence is no longer prerequisite for the monetary and legal system to function. The ideological structure of capitalism has embedded itself into the state via the legal system. The State then acts as a thug on behalf of capitalist by enforcing laws through means of legalized repression and violence. It is from this proof-of-violence concept that states are able to force people to accept the legitimacy of contracts, the law, and the value of fiat money at the point of a knife. If governments could not the violence of their legal systems to enforce the acceptance of fiat money, or the repayment of debt; the entire international monetary system would collapse overnight. All contemporary forms of fiat money rely on the physical and legal enforcement of laws, and the monopolization of the payment systems in order to create exchange value. All state money systems operate on maxims of restrictions based in law, enforced with mystical propaganda in one hand, and a clenched fist of enforcement in the other. The propaganda that is used to convince people of the need for the State to control money is far more important than the laws that create that money, or the guns and violence that are used to enforce their value. It is only through the repressive apparatuses of the State, and the cooperation of their capitalist allies that allows for this system of fiat money to continue to hold value. Legal restrictions create the nominal values of the currency bills from all states. It is the same for the EU’s Euro, the Chinese Yuan, or Malaysian Ringgit–the currencies have nominal, redeemable value for goods and services in those Nation-States (or unions), and not outside them. The value of these national currencies are created explicitly from the monopolization of the payment systems, and the monopolization of the issuance of legal tender. The monopoly of money itself via legal tender, and the monopolization of the payment system by the banks working with the state, is how national currencies forces themselves into a means of value, unlike commodity-monies like gold, sliver, or bitcoin. This difference between valor impositus and bonitas intrinseca: the nominal value of units imposed by the state–such as the dollar or shekel–and that which holds real intrinsic value; such as the metals, minerals, or other storage of value. The best example of how these two values act against one another would be a gold coin that has a lower face value than what the coin is worth on the open market–it is not the stamping of the metal that creates value, but the amount of gold that it is comprised of. Today because of the structure of late capitalism, where the state monopolizes the currency, and the banks monopolize the exchange of currency, there is no way to demand repayment in anything other than more fiat. It is from the insidious brilliance of forcing all exchanges into legal structures with no alternative payment forms, that fiat money both creates its own value, and also becomes a legal power. We can see that money today is not valued because of its bonitas intrinseca, but only its valor impositus. This means that the only way that the state can make its money hold value is through explicit legal means, which are reliant on repressive legal enforcement, and nothing else. There is a glaring issue with this mode of money creation when we start to consider for a moment that the world that we live no longer is orchestrated by legal enforcement of the state, but digital communications. There is no physical footing in this world, no place for the apparatus to establish itself.The repressive violence states use to enforce their laws simply cannot exist here. Moderator: The King’s head still hasn’t been cut off, yet already people are trying to replace it by discipline, that vast system instituted’-in the seventeenth century comprising the functions of surveillance, normalization and control and, a little later, those of punishment, correction, education and so on. One wonders where this system comes from, why it emerges and what its use is. And today there is rather a tendency to attribute a subject to it, a great, molar, totalitarian subject, namely the modern State, constituted in the sixteenth and seventeenth centuries and bringing with it (according to the classical theories) the professional army, the police and the administrative bureaucracy. 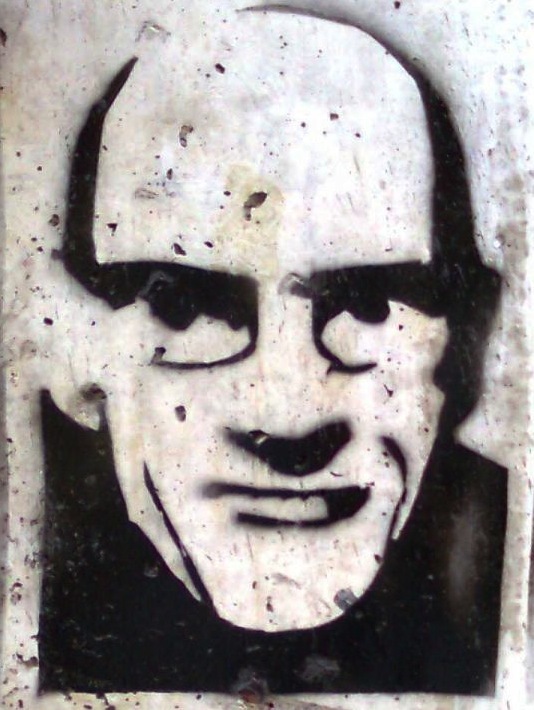 Foucault: To pose the problem in terms of the State means to continue posing it in terms of sovereign and sovereignty, that is to say in terms of law. 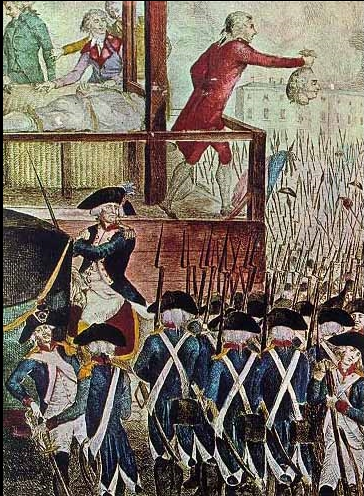 If one describes all these phenomena of power as dependent on the State apparatus, this means grasping them as essentially repressive: the Army as a power of death, police and justice as punitive instances, etc. I don’t want to say that the State isn’t important; what I want to say is that relations of power, and hence the analysis that must be made of them, necessarily extend beyond the limits of the State. In two senses: first of all because the State, for all the omnipotence of its apparatuses, is far from being able to occupy the whole field of actual power relations, and further because the State can only operate on the basis of other, already existing power relations. The State is superstructural in relation to a whole series of power networks, that invest the body, sexuality, the family, kinship, knowledge, technology and so forth. True, these networks stand in a conditioning-conditioned relationship to a kind of ‘meta-power’ which is structured essentially round a certain number of great prohibition functions; but this meta-power with its prohibitions can only take hold and secure its footing where it is rooted in a whole series of multiple and indefinite power relations that supply the necessary basis for the great negative forms of power. That, is just what I was trying to make apparent in my book [“The Order of Things” which was originally titled “Words and Things.”]. To cut off the king’s head we must venture into a realm where a footing for his power cannot be found. A realm where the physical violence, repression, and thus the capacity to physical enforce nationalistic laws cannot exist. The meta-power of the state and their various laws end where they do–in physical territory, in a physical world. There is no need to cut the heads off of false prophets whom we are immune to. Digital sovereignty departs from the theology of law, and builds a new economic system that operates from a critical bias of math, instead of physical enforcement. These systems are based upon non-physical knowledge alone (knowledge of the private key), which means these systems are built solely around their mathematical soundness. The code upon which these currencies are written is their own sovereign valor impositus. The computer code itself is the legal-mathematical structure that enforces the rules of bitcoin, and other digital currencies–no State or third-party is needed. Digital currencies are the kernel of power that a new economic and legal superstructure will be built from. Power is no longer something that comes from the sword, but from the pen. Violence cannot be an explicit tool of enforcement or appropriation in a nearly-anonymous, digital system like bitcoin or other digital currencies. Economic independence outside of the control of the state or the banks is now a real possibility. This severely underminds the power of the State, the banks, and state-capitalism in total. Digital currencies allow for a new frontier of economic freedom and independence, that is not achievable with the current monetary and legal systems. With bitcoin, people are free to choose who they conduct transactions with, without the permission of the state, banks, or the violence they use to enforce their laws. When we start to critically assess the current money systems of the world, along with the ideological and mythical structures of sovereignty, law, and the state; we find that they quickly break down under scrutiny. We come to understand that the dominion of the ideologies over our lives is not based upon some holy, progressive knowledge that protects us and gives us salvation; rather, it is barbarism wrapped in blanket, upon blanket of lies, obfuscations, and deceptions. We see that it is not magnanimity or justice that governs the actors of the State; but selfishness, greed, corruption, and cowardice. We come to see the world as Angelus Novus did, and the horrors of what is stacked in front of us and growing with each passing day. To make whole that which has been smashed is possible, but we must wake the dead in our quest for redemption. The gate is strait, and it is our duty to show others the liberation that can come with each passing second. In the declaration of independence of cyberspace we declared our virtual selves immune to state sovereignty, even as we continue to consent to the subjugation of our bodies. 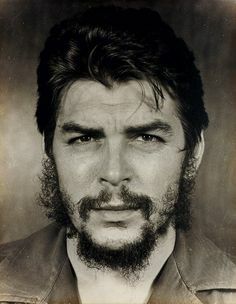 In the mean while we have spread to every corner of the global to ensure that our thoughts cannot be arrested, and so that the crimes of the state and capitalism will be seen by all, for all of history to come. We now have the means to reappropriate our sovereignty, our economic independence, and ultimately our political organizations and the State itself. This can and will be done to end the era of state-capitalism, and usher in a new era of global digital organization. We are creating a civilization of the Mind in Cyberspace, and using digital currencies to economically unite us is the first step towards this new world. Secrets have a value. How much, it is hard to say, perhaps invaluable would be a more apt description. Invaluable because a secret can mean the difference between life and death; that which can lead to victory or defeat in war. Secrets have an absolute economic value as well because it can truly mean the difference between life and death. Cryptography understands that the security of communication is essentially to life and death, and there is real value to both privacy and secrecy. Bitcoin and other digital currencies are built on top of strong cryptography for this reason. This cryptography is strong enough to be considered unbreakable at this point in time, and most likely for the next several decades. Due to the mathematically assured, provable secrecy that bitcoin is built on top of, bitcoin creates additional value outside of the energy spent mining bitcoins by creating a cryptographically strong system of digital exchange. The ability to exchange through strong cryptography, and the secrecy it affords is part of what creates the economic value of bitcoin. This value comes from the commodity that bitcoin is made from. Just as gold’s secondary values comes from its fungibility; the proof-of-secrecy function of bitcoin gives each unit their fungibility, which in turn creates secondary value. The provable mathematical security of bitcoin means the system is totally secure from legalized theft. 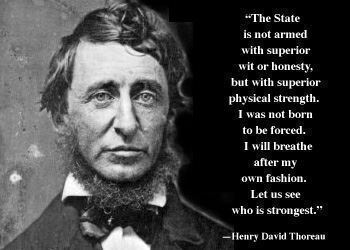 No state, banker, or military general can steal your securely stored bitcoin; no matter how powerful they may be, or how many guns they have pointed at you. Even before Julius Cesar first used his simple shift cipher for encoding his messages; ciphers, and stenography were wide used to conceal information throughout ancient history. These tactics of hiding information and keeping that information secret, or Crypto, developed as a tactic for war, and has had a large role within power struggles throughout the centuries. Over several millenia the developments of stenography and shift ciphers got better and better, as they were used for diplomatic and military purposes. A major advancement in the field occurred when poly-alphabetic ciphers, such as Vigenère cipher in 1553. Several centuries later the developments of cryptography were culminated in Kerchoff’s “La Cryptographie Militaire” in 1883, which are now surmised in Kerchoff’s principals. This was a scientific manifesto on the military application of cryptography, and how to understand the security of cryptosystems and breaking them. Of these principals that Kerchoff established was the need to make the system based upon mathematical principals, and the supremacy of keeping the secret key secret, as if you do not, the system will be know by your adversary. Just as in war you have an enemy, in crypto there is an adversary–an opponent that is seeking to compromise your system, and break it of its secrecy. If your secrecy is compromised, and if the secrecy of this communication is based upon life and death, you will die. This value of secrecy is absolute, and nation-state’s wars against one another accelerated the improvement of cryptography at a startling rate. This arms race in crypto ran parallel to the arms race for nuclear weapons in the 20th century, and was just as pivotal to its outcome. The mechanization of ciphers with the rotor machines were developed in the early 20th century. It was the first true attempt to apply a more robust computational principals to ciphering with machines. 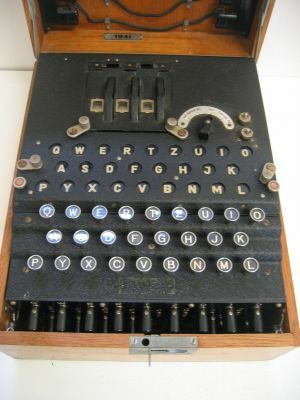 The mechanization of ciphering reached its apex during WWII with the German enigma machine. In order for the Allies to break the encryption of the enigma, they had Alan Turing develop The Bombe. This was one of the first computers ever created in order to crack the code of the German enigma machines. These ciphers had become so complex, they now needed computers to help with the complex mathematical calculations to crack their code. Like the wars that the empires throughout the ages have fought; at first their tools were rudimentary and crude, but developed with sophistication, technology, and scientific precision over the ages to what they are today. States now command weapons of mass destruction that can wipe out millions of people in a moment, and they use this as a token of power within the realpolitik of statecraft against other states. This is called brinkmanship–the art of pushing dangerous scenarios for favorable outcomes on ones own terms. It is within this same vein of power that the tools of cryptography were developed as a means of war. We must ask ourselves: why has this technology been so zealously guarded, with so much human energy expended upon it? It is because within the realm of secrecy and privacy that people can organize independently, and outsmart stronger, more powerful enemies. Encryption is a weapon for the weak against the powerful, and a way for individuals to be given a mathematical assurance against the invasions of privacy, both for personal documents, and communications. It is a mode of mathematically assured protection. One needs not to trust people with money or secrets any longer. Now they only need to trust the code upon which their secrets are hidden. That code is only mathematical, and is binary in nature. From being built on top of this mathematical encryption technology that cryptocurrencies create a true use-value. Proof-of-secrecy creates both fungible, and security. These features, paired with the limited number of bitcoins, and computational and electrical energy that goes into creating bitcoin units, creates the total concept that gives bitcoin, and other digital currencies, their value. Bitcoin and other digital currencies give rise to a new mode of sovereign economic power. It is this economic force that over the coming decades will deconstruct, and depose of the old concepts of money, value, banking, exchange, protection, and finally the state itself. Digital currencies are the economic power that will become the bases for a new way of organizing. This new form of power will create new social, economic, and political organizations which together will create a new superstructure of power I call the digital sovereign. Echoed in the sentiments of the declaration of independence of cyberspace, this is the process of creating a world that all may enter without privilege or prejudice accorded by race, economic power, military force, or station of birth. The digital sovereign is the space in which the civilization of the Mind will make itself victorious over the world of flesh and steel.